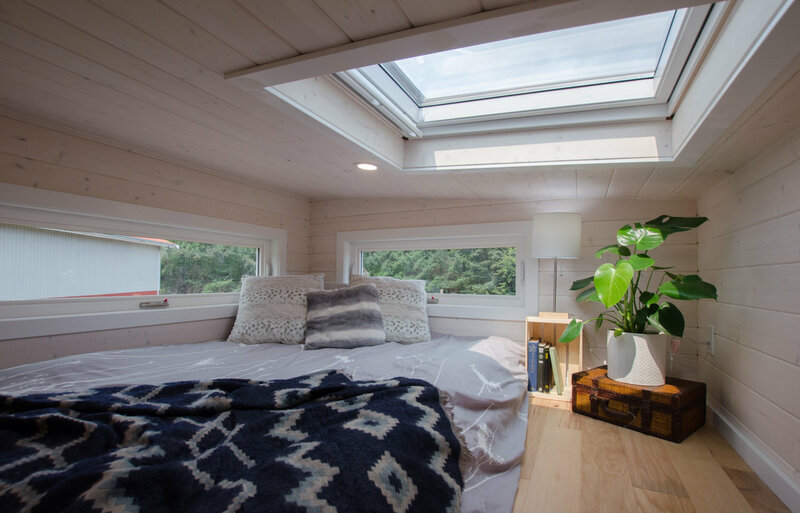 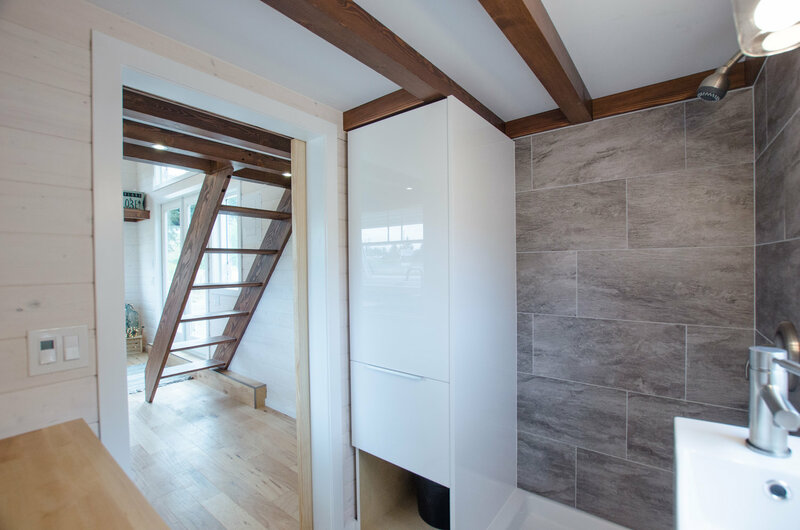 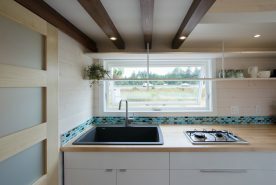 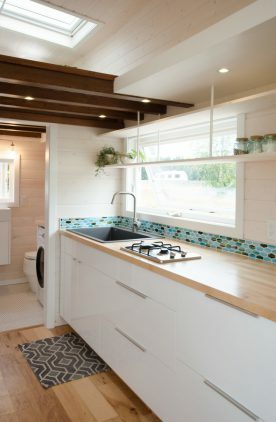 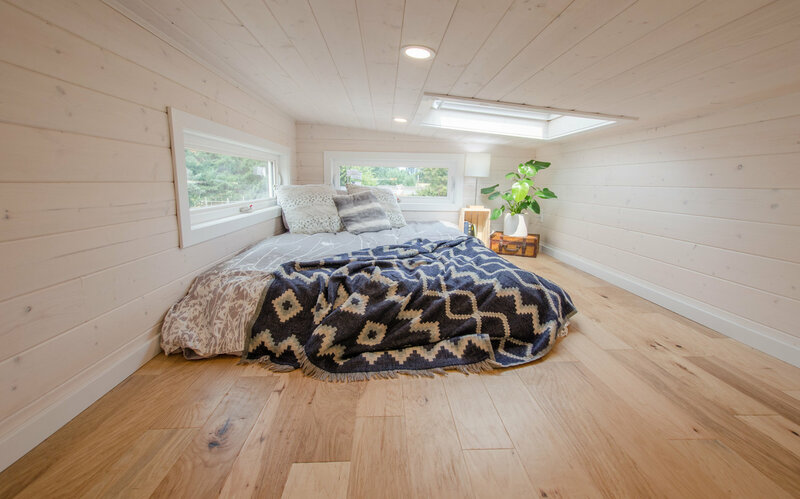 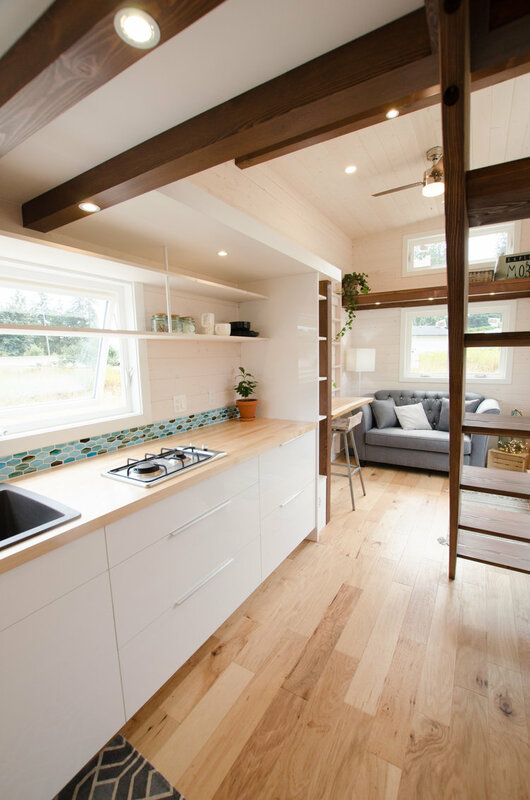 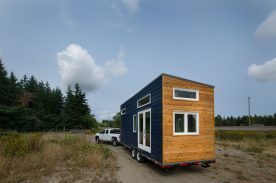 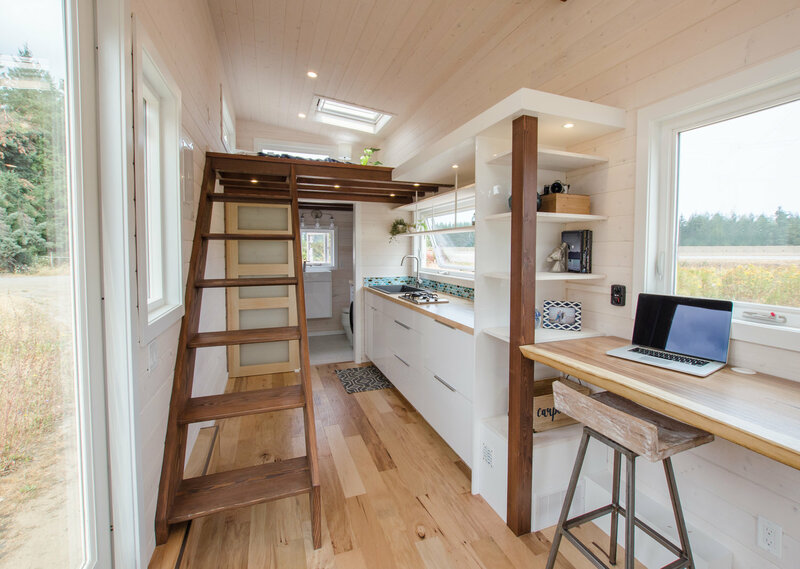 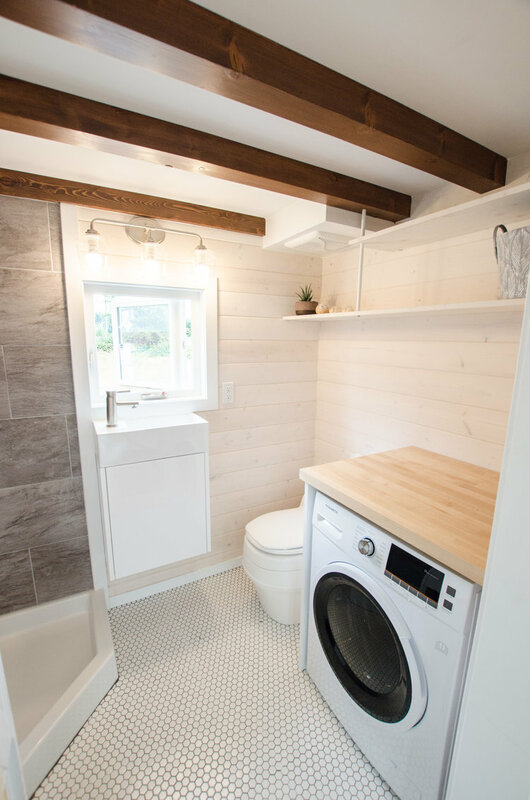 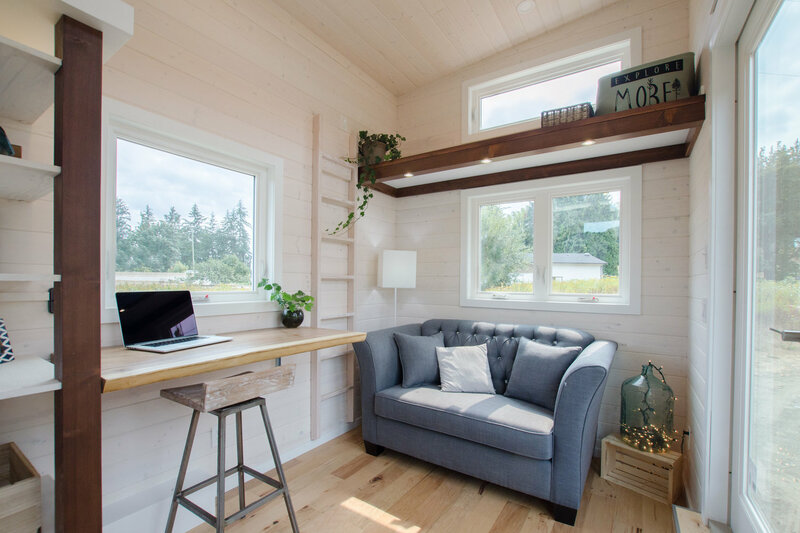 The 24′ Stellar Jay by Rewild Homes has a minimalist design that incorporates all the must haves with out over doing it. 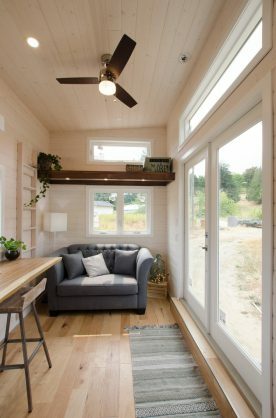 The abundance of windows really open the home up, and in conjunction with the whitewashed ship lap, creates a bright and airy living space. 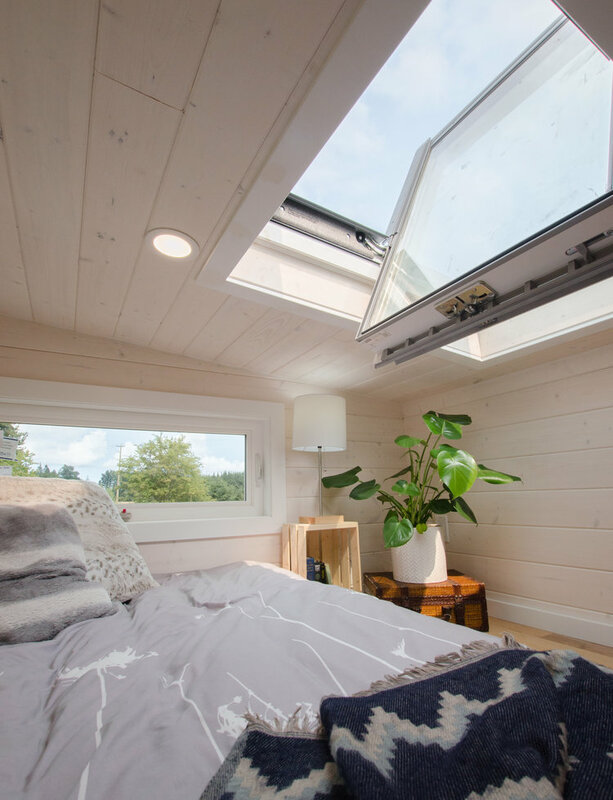 And speaking of airy, you have to check out my favorite feature, the fully opening skylight.